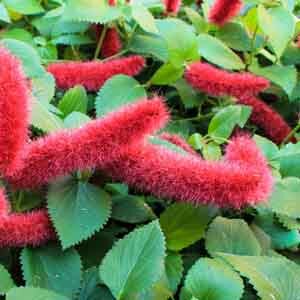 Most commonly utilized as an annual for adding vertical interest to mixed plantings, or as an attractive houseplant. 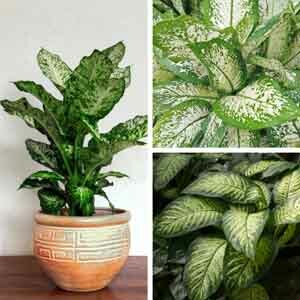 Varieties commonly available offer striped foliage in mixes of reds, greens, and white. 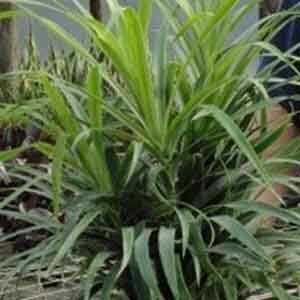 Also known as Cordyline indivisa. 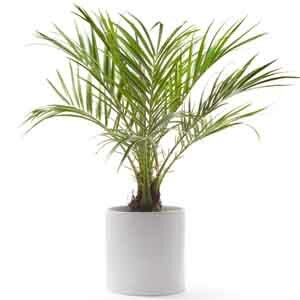 The crisp striping and upright habit of this plant bring a touch of nature's fresh liveliness indoors. 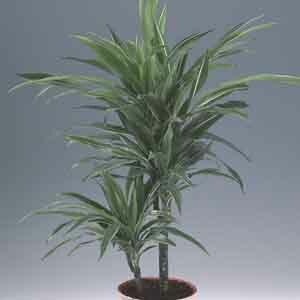 White striped ' Warneckii' can thrive in lower light than other Dracaena and looks great arranged with houseplants having finer texture or broad green foliage. A humidity loving selection well-suited to bathrooms, but adaptable to less humid rooms. 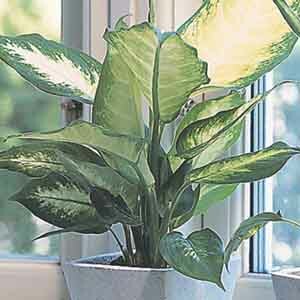 Depending on variety, the broad leaves are splashed or striped with white to yellow variegation and sure to brighten any space. A charming plant that just begs to be touched! The flowers look more like big pink fuzzy caterpillars than blooms. It’s an irresistible combination of fun and the exotic all wrapped into one. The feathery fronds and textured bark of a real palm in a more compact plant. 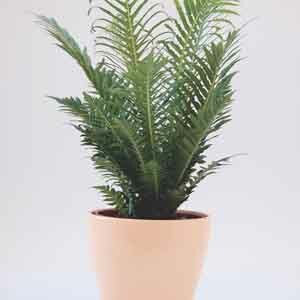 Perfect for filling empty corners, accenting entryways or bringing height to mixed houseplant arrangements. A place outdoors in the summer, away from air conditioning, is highly recommended. 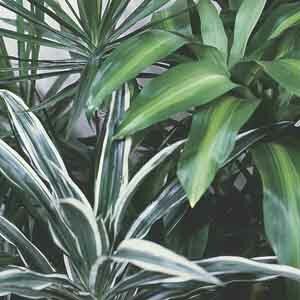 The bright green fronds of Silver Lady® are beautifully symetrical with a palm-tree like appearance to them. Good air circulation and reduced watering in winter will help this fern thrive. 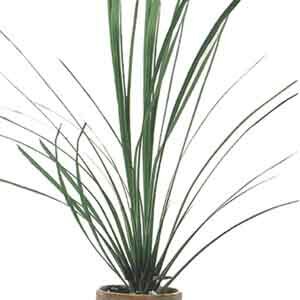 Excellent as a centerpiece or fronting an arrangement of taller houseplants. Celebrate Spring with beautiful flowers and enjoy as an attractive foliage plant when the blooms finish. 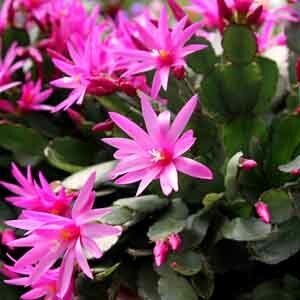 Cacti are always an easy care choice that can provide years of enjoyment in the home. Also well-suited to spending warmer months on a sunny patio or deck.